Kingsdown mattresses offer great support due to their high coil count. 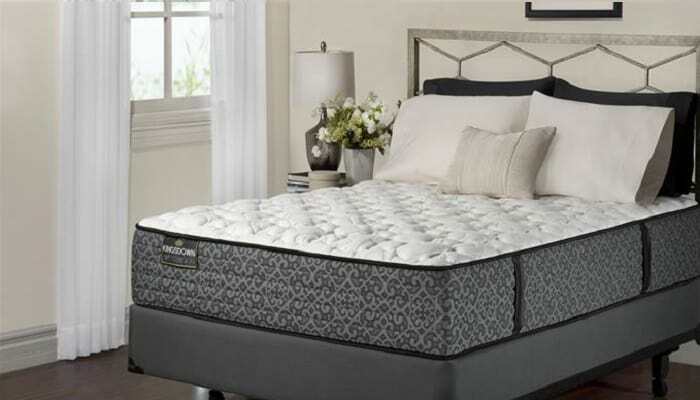 Higher coil counts are generally associated with more supportive and comfortable mattresses. Most Kingsdown models have an average to above average coil count. As is common in innerspring mattresses, Kingsdown mattresses may sag or develop body impressions after three years of ownership. According to consumer experiences analyzed by Sleep Like the Dead, 20% of Kingsdown mattress owners reported sagging within three years of ownership. They sell a few foam-based mattresses that don’t suffer from the same sagging issues as innerspring mattresses. One of the downsides to Kingsdown mattresses is they have an overall ownership satisfaction rating of 64% based on reviews analyzed by Sleep Like the Dead. For comparison, all innerspring mattresses have a customer satisfaction rating of 63% and all mattresses have a 72% customer satisfaction rating. Kingsdown mattresses have a wide price range of $400-$4,000, which is great because you can find a cheaper mattress if you’re on a smaller budget. The price depends on size and whether or not the mattress comes with a foundation. An average queen size Kingsdown mattress costs $2,000. Many customers report that their mattresses are comfortable upon first buying them. It’s after about three years that they state they’re no longer comfortable, and in some instances, the sagging causes back pain. In general, people find conforming mattresses to be more comfortable than those that don’t conform. A conforming mattress molds to an individual’s body, allowing a pressure-point-free and cradling sensation. 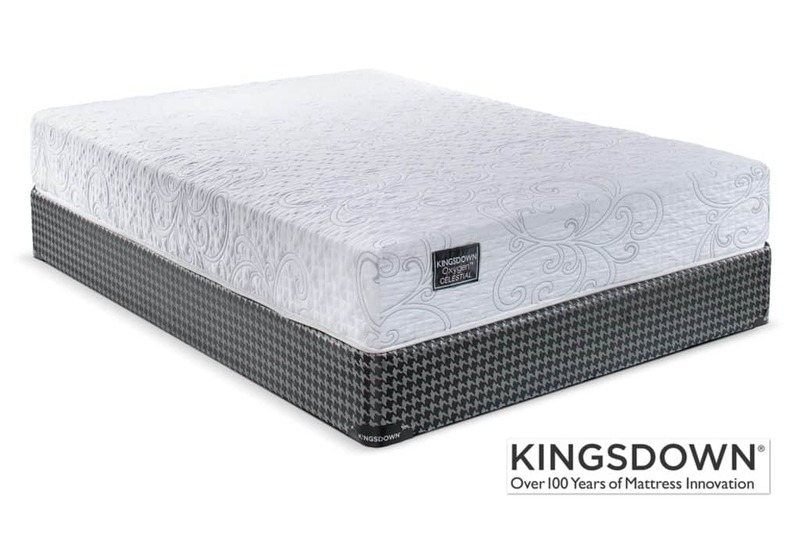 Kingsdown models with two inches or more of memory foam or latex usually rank above average in conforming. 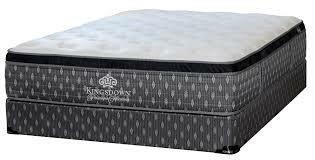 Most Kingsdown models consist of firm and soft firmness. Customers have reported that there are limited middle firmness options. This is good news for you if you prefer either firm or soft mattresses. Motion isolation is important if you or your partner is easily woken up from the other moving in bed. 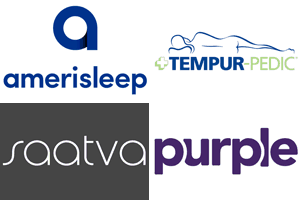 Kingdown has a selection of mattresses that provide motion isolation. To find the motion isolation mattresses, look for models with individually wrapped coils. Mattresses with open coils aren’t good at motion isolation. Off gassing is a chemical-like smell that some new mattresses emit. Most Kingsdown mattresses don’t off gas. Only 6% of customers, according to Sleep Like the Dead, reported that their Kingsdown mattress off gassed. Kingsdown mattresses usually need to be flipped or rotated at least once per year to slow down the sagging process. Some models are flippable, whereas others can only be rotated. make sure you know whether or not the mattress has a two-sided design that can be flipped before you buy. Kingsdown models with a no-flip design should be rotated 1-3 times per year. Kingsdown mattresses are comfortable to own, as long as you remember to rotate them 1-3 times per year to minimize sagging. They are made of luxurious, conforming materials and have a high coil count that makes them comfortable and supportive. Some models provide motion isolation, an ideal feature for couples.